Flotation '15 is set to be MEI's biggest conference to date, with a record number of sponsors, exhibitors and papers. During the 4 days of the conference, around 150 papers will be presented in oral and poster sessions, including keynote lectures by Jan Cilliers, Janusz Laskowski, D.R. Nagaraj and Peter Amelunxen. The provisional programme for the conference has now been published. Coffee and lunch breaks will take place in the exhibition/poster area, to provide as much exposure as possible for exhibitors and poster presentations. Twenty-two out of the 24 exhibit booths available have currently been reserved, so please book your booth without delay to give your organisation maximum exposure at the event. 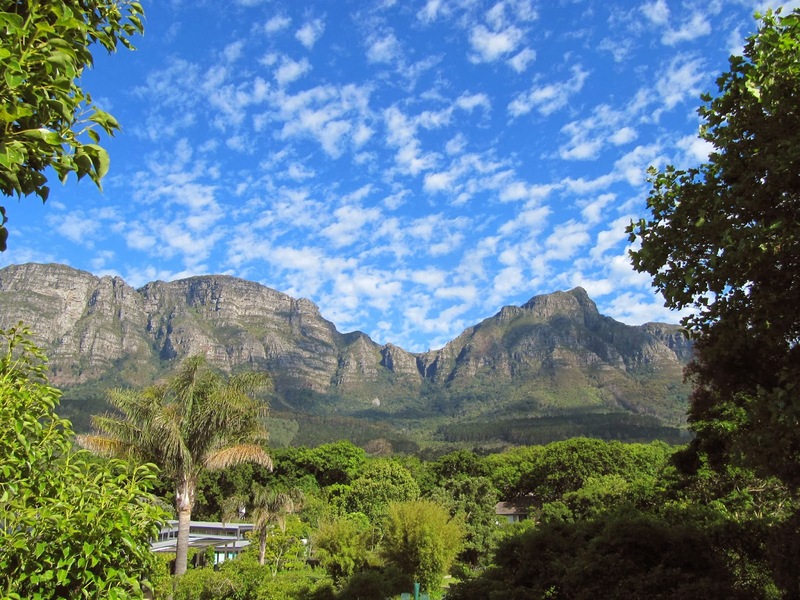 As always the conference is being held at Cape Town's Vineyard Hotel, and we will be making use of their magnificent gardens, overlooked by Table Mountain, for evening wine functions and happy hours. 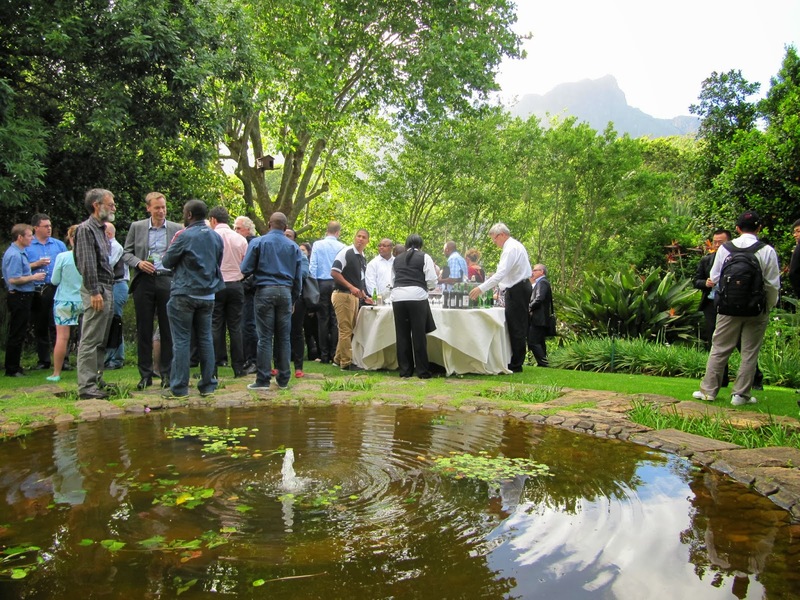 Networking is an important feature of all MEI Conferences, and the conference dinner will be an informal occasion in the nearby Kirstenbosch Botanical Gardens. Pablo Brito-Parada, Imperial College, UK and Associate Editor of Minerals Engineering. Also prior to the conference Dr. Stephen Gay will be running a 3-day Simulation Course covering all aspects from basic data accumulation and analysis to advanced software development. Stephen will show how simulation can be used for plant optimisation, plant trouble shooting, feasibility studies and plant design. Importantly the course will give plant managers an approach by which they can obtain guidance on how to improve plant performance via reduced energy costs, and better recovery. Full details can be found here. 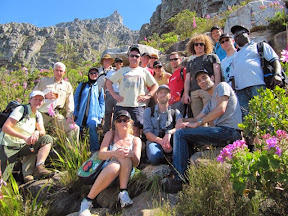 And for the adventurous, on the Friday afternoon after the conference Jon, Amanda and I will be leading our usual hike to the top of Table Mountain. Not to be missed if you are a fit regular hiker. So the scene is set for a great week in Cape Town, and we look forward to seeing you there. If you have never attended an MEI Conference in Cape Town, then this 7-minute video, taken at Process Mineralogy '14 will give you some idea of what to expect. Registration forms are now available on the conference website. Charlie Northfield, Process Plant Manager at Drakelands tungsten-tin mine in Devon, reports that ore commissioning began on Tuesday. Charlie gave a paper at Physical Separation '15 a couple of weeks ago, describing the interesting flowsheet incorporating DMS, spirals, tables, low and high intensity magnetic separation, and flotation. Pre-celebrations for the start-up commenced at the Devon mining sundowner on 12th June, with over 30 Wolf employees, contractors and visitors at the Miners’ Arms, Hemerdon. 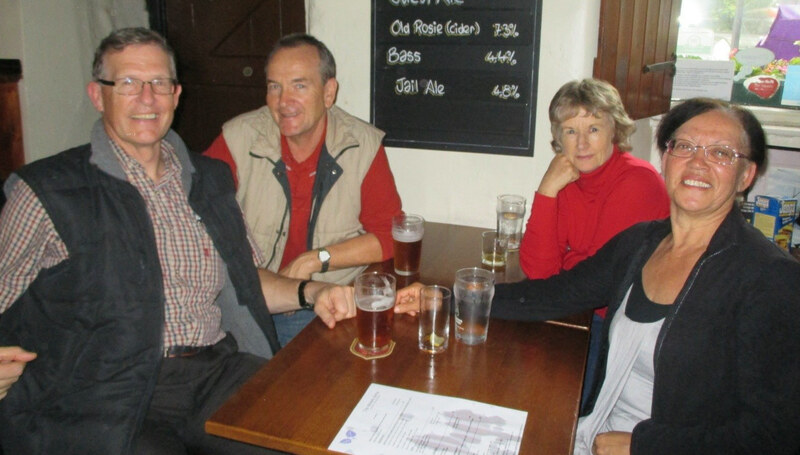 Visitors from afar included John and Sylvia Williams, Maintenance Manager and Maintenance Planner respectively and former colleagues of Jeff Harrison (Wolf Operations Manager) at Queensland Magnesia in Australia. Shown below are Jeff, John, Sylvia and Yvonne Harrison. Wolf maintenance personnel have been working hard assisting the contractors with the installation and pre-commissioning of process equipment. Shown below relaxing after a tough week are Matt le Gassick, Adam Bromley, Amy Hatswell, Luke Farnell and Ryan McGlinchey. The on-site SGS laboratory has been successfully commissioned and laboratory personnel enjoyed a celebratory drink. Shown below are Tom Wassell, Dave Mann, John Avery and Stephanie Merry. We wish Charlie and his team well and look forward to hearing more on progress on this important new mine. The most attractive way to reduce energy use in comminution is to do as little of it as possible. So said Dr. Rob Morrison, of Australia's JKMRC in his keynote lecture at Physical Separation '15. Rob went on to discuss how both energy and water have begun to become more expensive in real terms and access to minerals, and especially to water where there is competition from growing populations, are becoming limiting factors. In contrast to this bleak picture, we now have access to an expanding range of sensors. Some of these can detect minerals of interest through meters of rock and ever more powerful computers are well suited to rapid identification of particles of interest. Rob's keynote was followed by three more important papers on ore sorting, including two from the leading manufacturers of electronic sorting equipment, TOMRA and Steinert Elektromagnetbau GmbH. 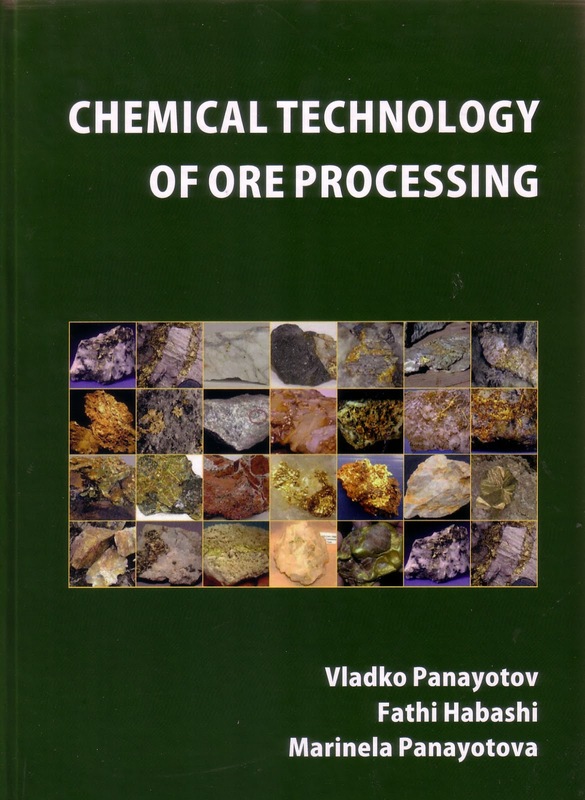 The emphasis on ore sorting at virtually all major mineral processing conferences is now very evident, so it was good to see that two of the five papers nominated for the 2015 Medal of the Coalition for Eco-Efficient Comminution (CEEC) dealt with pre-concentration of ores prior to comminution (MEI Online). The CEEC Medal is an annual award for the most outstanding published paper, article or case study profiling beneficial strategies for eco-efficient comminution. One of the nominated papers was "Development of ore sorting and its impact on mineral processing economics" by Joe Lessard et al, published in Minerals Engineering (posting of 8th September 2014). Joe was also one of the presenters at Physical Separation '15, and we look forward to seeing his paper on the economic impact of ore sorting in the special issue of Minerals Engineering in a few months time. But congratulations go to the winners of the 2015 Medal, Nigel J. Grigg and Georges J. Delemontex for their paper titled; “The Pre-Concentration of Precious and Base Metal Deposits Using the InLine Pressure Jig (IPJ); Higher Feed Grades and More Metal,” presented at the International Mineral Processing Conference 2014, Santiago, Chile. This paper was selected for the 2015 CEEC medal because of the potential impact of pre-concentration in reducing the energy used in comminution, and the paper’s several quantified examples. The paper detailed the installation of IPJs in gold and polymetallic full-scale applications in the 1-15mm size range. It reported significant upgrade by the removal of low-grade ores, mainly silicates. The strategy of pre-concentration, either by the removal of gangue material before size reduction, or by separation of material for processing by alternate routes, significantly reduces the energy required for comminution, and decreases operating and capital costs. In addition, it effectively increases the size of the ore deposit. CEEC and its Board, and MEI, congratulate Grigg and Delemontex on their win, and the other short-listed authors for their important contributions to the cause of reducing comminution energy consumption. MEI has received an announcement of this new book, by Vladco Panayotov, Fathi Habashi, and Marinela Panayotova, printed by Publishing House “St. Ivan Rilski” University of Mining and Geology “St. Ivan Rilski” – Sofia, Bulgaria, 2014 (ISBN 978-954-353-259-9). 8. Environment Pollution Problems in the Mineral Processing Industry. I would be interested in comments/reviews from anyone who has seen a copy of this book. Elsevier's Dean Eastbury always stays on after MEI Conferences in Falmouth to join me on a hard hike on the Cornish coastal path. Last Tuesday we walked the seven and a half miles between the two lovely harbour towns of Mevagissey and Charlestown, graded 'strenuous' and probably the most demanding hike on Cornwall's south coast. 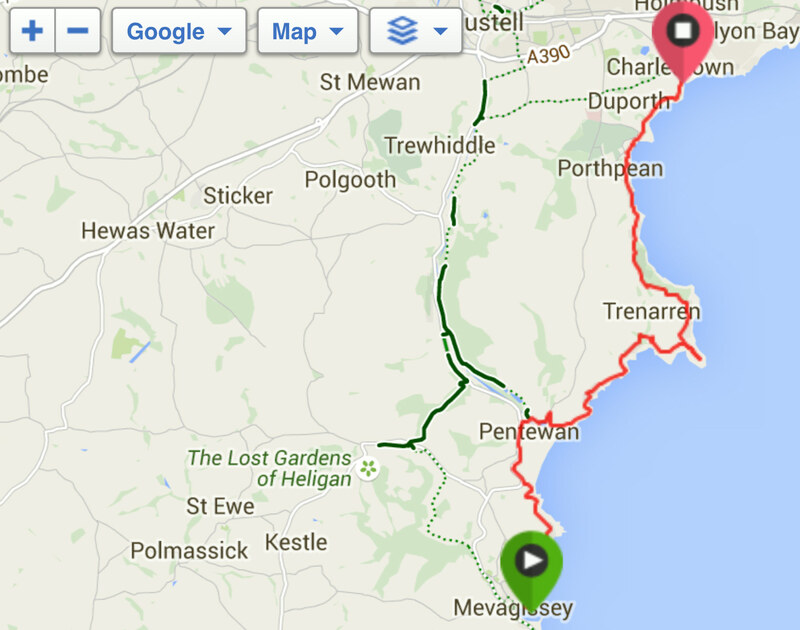 This is not my favourite Cornish walk, but is a must for keen hikers staying in the vicinity of these two small towns and wishing to test themselves on this roller-coaster ride, with a total vertical ascent of just over 1600 feet. Fishing was a once major industry in Megavissey, but this has been replaced by tourism as the dominant industry in recent years. The tiny port of Charlestown still exports small amounts of china clay from the nearby St. Austell kaolin mines, and the picturesque harbour draws tourists from all over the world to see the collection of old ships which are used in film projects around the world. Recently the village was the setting for old Truro in the BBC 'Poldark' series. A fairly low turn-out this evening for the sundowner in Falmouth, with no surprise guests this month, just the hardy regulars braving a chilly evening. This was my 3rd visit to the Chain Locker in two weeks, still drying off after the drenching last week! The Physical Separation conferences, of which this was the 4th in the series, have always been held in Falmouth. They always attract a small, but very interesting gathering- an eclectic mix of specialists in gravity concentration, magnetic and electrical separation, and increasingly, electronic sorting. 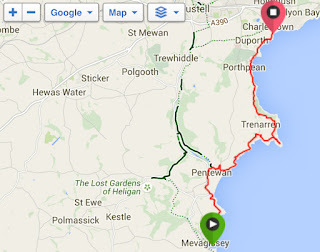 Cornwall is an appropriate place to hold these events, as it was the first place in the world where physical separation methods were practiced on a large scale, and I always look forward to taking delegates on a pilgrimage to the Camborne-Redruth mining district, the 'birthplace of modern mining'. 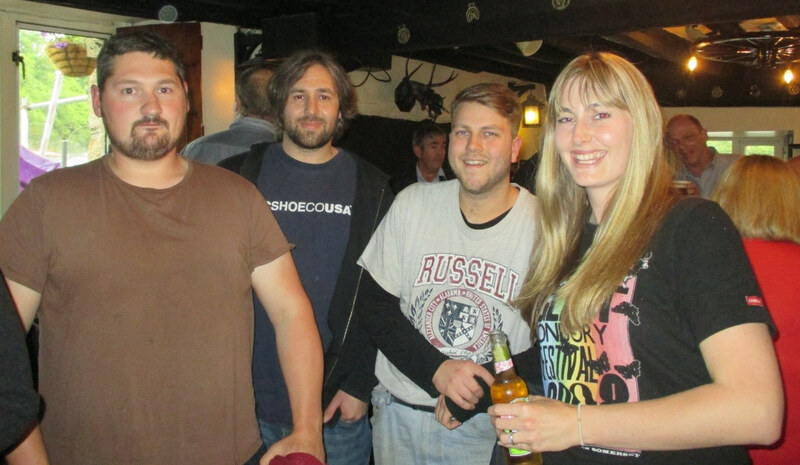 Physical Separation '15 was held at the St. Michael's Hotel, Falmouth from June 11-12, 2015, immediately following Computational Modelling '15 (posting of June 13th), and was sponsored by TOMRA Sorting Solutions, Steinert Elektromagnetbau, ST Equipment & Technology, with media sponsors AT International and Industrial Minerals. Jon opened the conference this morning, welcoming the 56 delegates from 13 countries. It is no surprise that two of the three conference sponsors are leaders in the field of electronic sorting, which represents a future direction for the mining industry as it seeks to reduce costs associated with comminution, waste handling, and mining. Rapid advances in high speed computers and sensors will see more and more plants in the future adopting this technology. In the first session of the conference, chaired by Kristian Waters, of McGill University, Canada, Rob Morrison of the JKMRC, Australia, set the scene in his keynote lecture, in which he considered opportunities for reducing the use of energy in comminution by doing as little of it as possible by using physical separation over a wide range of sizes. These ideas also lead to strategies which might reduce water use and even to what might constitute a mineral deposit. TOMRA Sorting GmbH, Germany has recently been named the winner of the European Business of the Year Award, being recognised as one of the best European companies in terms of demonstrating innovation, business ethics and financial success (MEI Online). Jens-Michael Bergmann of TOMRA continued the theme of reducing water usage via electronic sorting. Processing of ores and industrial minerals worldwide is consuming an incredibly large quantity of process water. This water has to be extracted, transported, recovered, and discharged with all its commercial and environmental impacts. Sensor sorting could considerably cut the crushing and milling cost, reduce the water consumption, save costs for water treatment and disposal, and finally improve the overall environmental image of our industry. Machines scan each rock and identify its physical properties by a sensor. The “wanted” material will enter the downstream beneficiation steps and the “unwanted” is waste. No water will be disposed with these, no pond is necessary, no slurries with high leachate potential have to be stored and monitored for years. I met Joe Lessard of Orchard Material Technology (OMT) at this year's SME Meeting in Denver (posting of 20th February). I had been impressed with a paper that he had co-authored, on the economic impact of ore sorting in a comminution circuit, which had been published in Minerals Engineering (posting of 8 Sept 2014), so I invited him to present a paper at Physical Separation '15. Conference sponsor Steinert, who provides state-of-the-art sorting equipment and sophisticated magnetic separation technology, is now working with OMT to generate a more complete picture of the economic ramifications (i.e. capital, operating, and maintenance costs) associated with bringing sorting to existing processes. Joe took us to the coffee break by showing that a major barrier to widespread implementation of sorting in hard rock mining is a knowledge gap: sorting equipment manufacturers have made modest footholds in the mining industry, while miners and plant operators are largely unaware of recent developments and the state-of-the-art technology. Most importantly, a widespread understanding of how ore sorters can be implemented and their significant economic impacts is lacking. The impacts of ore sorting on the economics and the process flow sheet of an existing semi-autogenous milling circuit of a US copper mine were discussed and the advantages of large scale ore sorting outlined in terms of mine and processing economics. Following the coffee break, chaired by Claude Bazin, of Laval University, Canada, Cristian Carrasco, of the Cooperative Research Centre for Optimising Resource Extraction, Australia described the development of a novel tool to rapidly assess metal preconcentration by size potential. This methodology identifies samples that are economically amenable for screening, providing a dynamic rock “recipe”. This changes depending on cut-off, proportion of the accepted (high grade, fine material) and rejected stream (low grade, coarse material) produced by screening. It is claimed that this methodology can eventually be used to support short term operational decision when grade by size variability is exploited by screening. Lewis Baker, of conference sponsor ST Equipment & Technology LLC, USA, then described how the company's tribo-electrostatic belt separator provides the mineral processing industry with a means to beneficiate fine materials with an entirely dry technology. He discussed how the high efficiency multi-stage separation through internal charging/recharging and recycle results in far superior separations than can be achieved with other conventional single-stage electrostatic systems. The triboelectric belt separator technology has been used to separate a wide range of materials including mixtures of glassy aluminosilicates/carbon, calcite/quartz, talc/magnesite, and barite/quartz. He claims that the enhanced separation capabilities of the STET system may be a very effective alternative to flotation processes, as the dry process results in a simpler process flow sheet with less equipment than flotation with both capital and operating expenses reduced by around 30%. We are pleased to have seven representatives of the China University of Mining & Technology at the conference, and Yaqun He described the triboelectrostatic separation of pulverized coal based on combined mineralogical characterization analyses. Multi-analytical techniques were utilised for raw coal and pulverized coal, respectively, to evaluate the potential for beneficiation of coal after grinding. In many parts of the world, important reserves of Microscopic Biogenous Sediments are found in which an intimate association of Diatomaceous Earth (DE) and CaCO3 is experienced. DE is a hydrous form of opaline silica with many industrial applications, for instance, as filter aids to produce a clear filtrate from a broad range of fluids. The presence of CaCO3 can have a negative influence on the pH and taste of food products filtrated. Therefore, this impurity in the DE products should be removed down to the level suitable for the industrial food. In a study described by Saeid Moradi, of Imerys Minerals, UK, the separation of CaCO3 from a DE product using a conventional corona electrostatic separator and an advanced tribo-electrostatic separator was investigated. Important controllable variables were incorporated into mathematical models which predicted the performance of a single stage of separation for each separator and showed the merits of using the advanced tribo-electrostatic separator. The final paper of the morning, presented by Philipp Hartlieb, of Montanuniversitaet Leoben, Austria, dealt with experimental studies measuring the microwave absorption properties of granite, sandstone and basalt in the temperature range of 0 - 800°C and the thermo-physical rock properties in the same temperature range. Numerical analyses were used to demonstrate the influence of varying parameters. The results of these measurements and analyses were linked to microwave irradiation tests at 25 kW output power demonstrating the strong variation of effects depending on the parameter rock / mineralogy showing possible applications in a mineral processing environment. The afternoon session, chaired by Kathryn Hadler, of Grinding Solutions, UK, commenced with a very topical paper from my old CSM student Charlie Northfield. Charlie is processing plant manager with Wolf Minerals, whose Drakelands tungsten-tin mine, Britain's first new metal mine in over 40 years, is due to commence operations on June 16th. This must be a very busy time for Charlie so we appreciate his taking time to cross the border into Cornwall to give us an update on the operations, an interesting flowsheet incorporating DMS, spirals, tables, low and high intensity magnetic separation, and flotation. Although Drakelands is in neighbouring Devon, and Cornwall's era of metal mining is long past, Cornwall still has a very dynamic mining network, which will be of great use to the new mine. Also much involved with the Cornish mining network is Salter Cyclones, and it was good to see Ian Daniels representing the company at the conference. Salter Cyclones manufacture and sell the hydrocyclones and Multi-Gravity Concentrators (MGS) originally developed by Richard Mozley (posting of 4th June). Although Ian never worked for Richard Mozley Ltd, he was working with Axsia when they bought out RM Ltd in 2000. This is Ian's 6th MEI Conference. In 2006 he represented Axsia-Mozley at Gravity '06 and Hydrocyclones '06, and at Physical Separation '09 with the Mozley Group, which quickly became Salter Cyclones, who he represented at Physical Separation '11 and Physical Separation '13. Although based in Cheltenham, Salter Cyclones still retains the old Richard Mozley premises in Redruth for testwork and is much involved with local companies SGS and Grinding Solutions. When SGS has samples that need cycloning, or use of the MGS, they send the samples to Salter Cyclones, and when SC has samples that need analysing this is done by SGS at the Wheal Jane site. Ultrafine size analyses are handled by Grinding Solutions in Truro, so samples bounce between Salter, SGS, and Grinding Solutions, all helping each other in promoting the knowledge and skills available within the Cornish mining network. Also based in Cornwall, and feeding into the network is the UK base for the USA's Deister Concentrator, and Petrolab, which provides advanced mineralogical facilities, as does the Camborne School of Mines. Representatives from the network are photographed below with Charlie. I met Bill Weldon, of Mineral Technologies Inc, USA, at the SME Meeting in Denver and invited him to Falmouth to present a paper on a new mineral sands operation which is being developed in Georgia by Southern Ionics, Inc. (SII). The process uses traditional physical separation equipment; however a new MT spiral, the MG12, was selected for use on board the floating wet concentrator plant for roughing duty. The MG12 spiral is a two-stage, twelve-turn spiral that has been proven to achieve very high recoveries of heavy minerals. The floating plant includes feed desliming operations, a central MT surge bin for optimum spiral circuit feed control and ancillary operations for concentrate and tailings handling. Scrubbed heavy mineral concentrate (HMC) is then transported to the MSP for concentration of the titanium and zirconium bearing mineral fractions. Another interesting operations paper was presented by Adam Jordens of McGill University, Canada. The Nechalacho rare earth deposit in Canada's Northwest Territories contains multiple low specific gravity, diamagnetic silicate gangue minerals (predominantly feldspars and quartz) as well as high specific gravity, iron oxide minerals (magnetite and hematite). The valuable REE minerals in the deposit consist of a variety of relatively high specific gravity, paramagnetic minerals. A process has been proposed to concentrate the value RE minerals through a combination of gravity (rejecting silicate gangue) and magnetic (rejecting Fe-oxide gangue) separation steps prior to froth flotation. Rare Earth Elements (REE) are common in Waste from Electronic and Electric Equipment (WEEE), but the average REE grades are low, and current recycling rates are close to nil. Bertil Pålsson, of Luleå University of Technology, Sweden, presented results from a European research project where different ways of upgrading waste containing REE have been tried. One of the ways is to identify recycling streams with higher grades and volumes of REE. Samples from the streams are then processed to liberate as much as possible of the contained REE. It was found that especially Nd emanating from strongly magnetic and brittle materials can be separated by a simple process of thermal demagnetisation, pre-screening, cryo-grinding and fine sieving. 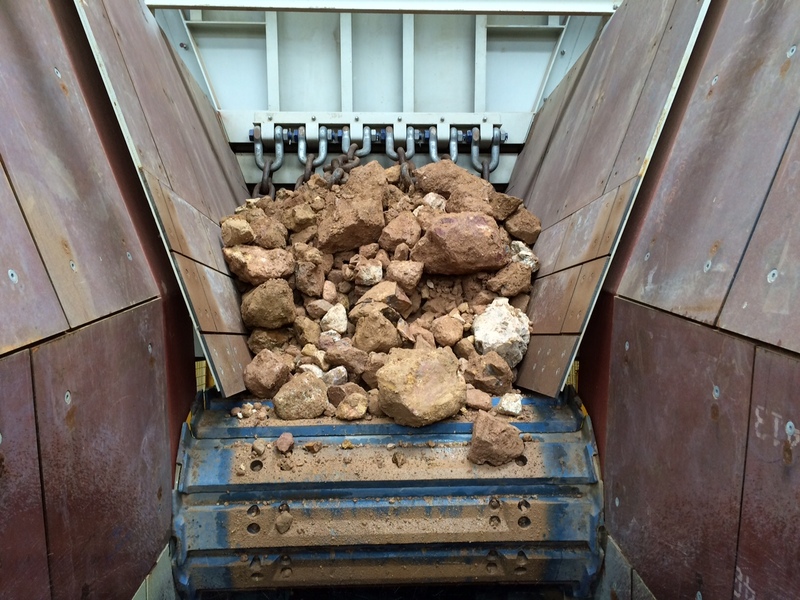 Gregor Borg, of PMS Hamburg, Germany, described the VeRo-Liberator®, a new impact crusher suitable for the comminution of ores, smelter slags, waste incinerator slags, concrete and numerous other complexly intergrown materials (MEI Online). The technical advantages are very low energy consumption, very high degree of particle liberation, and particle size reduction from 100-120 mm to typically >90% less than 500 micron in a single pass. Screens are an important production unit in crushing plants, the performance of the screen being essential to the performance of the plant. In the final paper of the day, Magnus Bengtsson, of Chalmers University of Technology, Sweden, described a mechanistic model of a banana screen and presented a novel model for screen deck configuration. The developed model can be used for optimisation of a screen so that it has the best possible performance with respect to different feeding conditions, in order to obtain a desired separation. There has been persistent rain during the day, but by late afternoon it had apparently cleared, just in time for our usual walk to the Fal estuary and into old Falmouth. But an hour into the walk we were hit by a deluge, so it was a very wet group that arrived at the 17th century Chain Locker pub to sample the best Cornish ales (see also posting of 11th June). Echoes of Physical Separation '13 where we also had to dry out in the pub! Vibrating screens are widely used, but despite their importance full understanding has often been a major obstacle both in academia and industry. In the first paper of the morning session, chaired by Bertil Palsson, of Lulea University, Sweden, Nicolus Rotich, of Lappeenranta University of Technology, Finland presented new methods for granular-material flow prediction and design of efficient industrial screens. Claude Bazin, of Laval University, Canada, then described an operational model for a spiral classifier, accounting for wash water addition and concentrate cutter openings, two strategic variables for the operation of spiral classifiers which are rarely included in spiral models. In a further Canadian paper, Darryel Boucher, of McGill University, showed how activated hematite and quartz tracers were tracked along the first two turns of a spiral concentrator to ascertain information on valuable and gangue particle motion. The tracking was made possible in the first and second turns of the spiral by the direct activation of mineral particles, and the use of an adjustable height circular assembly of modular positron emission particle tracking detectors. The dense medium cyclone (DMC) is recognized as one of the most effective devices to separate run-of-mine coal and in practice the feed material properties in a DMC, such as coal particle density and size distribution, are important variables affecting performance. Although the effects of particle density and size distributions have often been studied separately their interaction has not been well understood. Jian Chen, of Monash University, Australia described a CFD-DEM study of the multiphase flow in a dense medium cyclone, particularly with respect to the interaction of particle density and size distributions. In the session following the coffee-break, chaired by Gregor Borg, of PMS Hamburg, Germany, Veruska Govender and Carl Bergmann of Mintek, South Africa showed how mineralogical characterisation and process modelling was used to simulate the gravity recovery of ferrochrome fines. Through modelling, it was also possible to evaluate alternative physical separation flowsheets that could be used to recover valuable products using an established mineralogical particle characterisation method. Centrifugal concentrators have been widely used for recovering fine gold over the past decades. One of the drawbacks of this technique is the large volume of water required during the operation. Recent work at McGill University, Canada, using a laboratory scale Knelson Concentrator, was described by Meng Zhou, who showed that this can be overcome by using air to replace the water as the fluidising medium. Calcium carbonate may accumulate in Microscopic Biogenous Sediments where Diatomaceous Earth is present. This produces beds of lean-grade DE ores which are found in some parts of the world; these are often exploited ineffectively because they do not meet food contact standards. Selective flocculation is considered a potential technique for DE-CaCO3 separations for materials of fine particle size, as discussed by Saeid Moradi of Imerys Minerals, UK. During the decommissioning of a nuclear facility, the reactor pressure vessel and its internals have to be cut into small pieces to allow the final disposal in a nuclear repository. One of the cold, and under water, cutting techniques used for this application is the water abrasive suspension cutting, proven to have many advantages compared to mechanical or thermal cutting technologies. 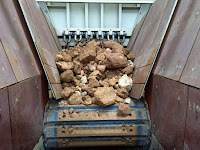 The major drawback of this technology, however, is the generation of large amounts of secondary waste, due to the use of the added silicate abrasive. In order to reduce or even eliminate this secondary waste, a new treatment and disposal technique based on physical separation is being developed at the Karlsruhe Institute of Technology, Germany. Martin Brandauer showed how this makes use of the magnetic properties of the steel fraction, as well as the different sedimentation characteristics of the fractions. In mineral processing material transport is commonly monitored between unit operations; flow speed, solids concentration, and particle size distribution of suspension flow in pipes are measured online using standard equipment. In many situations this information would be complemented by measurements inside the process equipment. In work at Luleå University of Technology, Sweden a wet Low-Intensity Magnetic Separator (LIMS), where no means for internal measurements exist today, is used as a proof of concept, as described by Jan Stener. An ultrasound-based method was utilized for carrying out direct measurements of internal material flows in a bench scale unit of the counter-current type. Using this method it was possible to study the effect of slurry feed velocity, slurry solids concentration, magnet assembly angle, and drum rotational speed on the internal particle flow patterns. These direct measurements can aid in both machine design and improved process control. The final session of the conference was chaired by Philipp Hartlieb of Montanuniversitaet Leoben, Austria, who introduced Richard Pascoe of Camborne School of Mines, UK, who described an investigation of the performance of a low intensity magnetic separator using QEMSCAN analysis. Steelmaking slag includes much entrained iron. In order to recover this iron Kyohei Ishida, of JFE Steel Corporation, Japan proposed an efficient approach to dry fine particle separation using mechanical stirring by a fluctuating magnetic field, generated by a magnet roll with multiple poles, the quick change of magnetic field generating strong agitation. Yuemin Zhao of the China University of Mining & Technology showed that the magnetic separation removal rate of pyrite can be improved effectively by increasing the susceptibility of pyrite. The electromagnetic characteristics and absorption response performance of high-sulfur fine coal were studied in strengthening the susceptibility of pyrite. Microwaves improved the susceptibility in the ultra-high frequency region, which is the most natural resonance. Waste from acid leaching of low grade copper oxides must be dewatered to reduce the volume of disposed materials and to mitigate potential environmental hazards. The use of electro-osmotic potential to assist in the dewatering of this waste is an attractive option, being more efficient than mechanical filtration alone, and less energy intensive than thermal drying. In a study at McGill University, Canada, described by Mayeli Alvarez-Silva, the influence of voltage, humidity and pressure on the electro-osmotic dewatering of waste from acid leaching was evaluated at laboratory scale. Thickening is one of the most important unit operations where water is recovered in copper concentrators, and in the final paper Fernando Betancourt of Universidad de Concepción, Chile, showed how flocculation is a critical step in this process where flocs are formed from destabilized particles. In general, flocculator reactors, hydraulic and mechanical, are devices with a large footprint. A new kind of equipment, with small foot print, in the class of ultraflocculator reactors, has been studied at a pilot scale level and by using CFD techniques including population balances. Amanda closed the conference and invited delegates to attend Physical Separation '17 in Falmouth in two years time. She invited all authors to submit their final papers for peer-review to Minerals Engineering, for possible inclusion in the special Physical Separation issue, which will be published early next year. All the conference draft papers are available on USB from MEI. A busy Chain Locker this afternoon, with many people enjoying the warm sunshine. A very different scene from our visit three days ago! Computational modelling is perhaps the most highly specialised of all MEI Conferences, and over the years has attracted a small nucleus of around 45 dedicated scientists involved in the use of fundamental physical equations to predict the behaviour of complex mineral processing systems. This year's event was the 5th in the series and was held for the 3rd successive time in Falmouth, at the St. Michael's Hotel from June 9-10. I welcomed the 35 delegates from 11 countries to a warm and sunny Cornwall this morning, then introduced the chairmen for the first session Yuande Zhao and Pablo Brito-Parada. Philip Schwarz of CSIRO Mineral Resources Flagship, Australia, set the scene by reviewing multi-scale modeling approaches to process simulation, showing the similarities and differences compared with the more common multi-scale approaches to materials modelling. The methods were illustrated with reference to mineral flotation, where multi-phase CFD models of large-scale cells have been complemented by micro-scale CFD simulations of bubble-particle collision, and experimental and modeling studies of the bubble-particle attachment process itself. Other examples of multi-scale modeling were also summarized, highlighting progress on unit operations including aluminium reduction cells, leaching heaps and copper electrowininng. 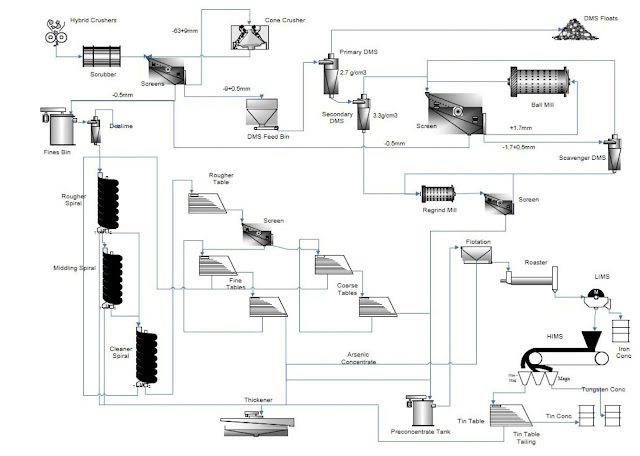 A characteristic of most minerals processing systems is that they are multi-phase. Conference regular Stephen Neethling, of Imperial College, UK described the use of Smooth Particle Hydrodynamics (SPH) to model multiphase mineral processing systems. The Lagrangian nature of SPH means that it is well suited to modelling these systems as it can naturally track interfaces and free surfaces. Stephen described a massively parallel SPH simulator and highlighted some of the features that have been implemented, such as a novel method for modelling surface tension and contact angles, as well as two way coupled solid fluid-interactions. The capabilities of this simulator were illustrated by means of examples showing its ability to simulate various minerals processing related systems at a wide range of different length scales from those resolving the behaviour of individual particles, bubbles and droplets all the way up to the equipment scale. A 3D numerical analysis of the microwave induced damage in inhomogeneous hard rocks was presented by Michael Toifl of Montanuniversitaet Leoben, Austria . The aim of the research was to identify cracks on the microstructure level of a two component model rock introduced by the thermo-mechanical stresses during microwave irradiation. After microwave irradiation with a source of 25 kW, cracks along the grain boundaries that propagate across the boundaries of the microwave irradiated area were observed. 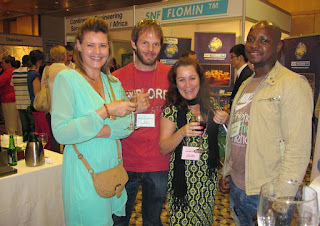 Comminution was the theme after the coffee break, with 5 papers from Sweden, China, Canada and Brazil. The aim of the first paper, presented by Erik Hulthén, of Chalmers University of Technology, Sweden identified the fundamental tools needed to increase the resolution of how crushing plants behave and provide a framework for analyzing and suggesting model improvements that will improve performance when controlling the process. Erik is one of four Chalmers representatives at the conference. Both he and Magnus Bengtsson are on the organising committee for the European Symposium on Comminution and Classification, which takes place in Sweden in September. It was good to see Yuande Zhou of Tsinghua University back in Falmouth, as since the last Modelling conference he has been appointed Chinese representative on the Editorial Board of Minerals Engineering. The numerical study given in his paper was aimed at helping the understanding of the pulverizing mechanism of various polycrystalline particles in roller mills and the optimization of the grinding machines for better efficiency. In a further paper from Chalmers University Gauti Asbjörnsson analysed the incidents that can cause continuous crushing operations to experience altered performance due to changed conditions over a long operating period. A novel method for combining discrete probability simulations with time-continuous simulations for optimizing the process was presented. Canada's McGill University is also represented by four delegates, and Arash Rafiei presented the first McGill paper, describing the modeling of the production rate of a continuous grinding system based on breakage rate of a semi-continuous grinding system. He showed that there is a direct connection between the breakage rate of the batch and continuous systems, such that the minimum grinding time can be obtained from the applied methodology, which may be helpful for designing a continuous grinding system. In the final paper of the morning André Carlos Silva of Goiás Federal University, Brazil discussed optimisation of a ball mill at the Anglo American Phosphate Catalão-GO Company through simulations using the Moly-Cop optimization tools, thereby improving energy consumption and grinding efficiency. The short afternoon session was chaired by Magnus Bengtsson of Chalmers University of Technology, who introduced the first speaker Arash Rafiei, of McGill University, who presented his 2nd paper of the day, discussing a study on the experimental modelling of energy consumption of a batch grinding system based on mill parameters and breakage rate. The energy consumption was predicted by applying Bond and a discrete element software as experimental and numerical methods, respectively. This was followed by two hydrocyclone papers. Zeng Qi of Monash University, Australia, discussed the CFD modelling and analysis of classification of fine coals of different densities in large-diameter hydrocyclones. The effect of density distribution leads to misplaced coal particles at the outlets of a hydrocyclone but is not clearly understood. The potential use of large hydocyclones provides the opportunity for circuit in coal preparation to be implemented in the simplest possible manner to overcome the adverse effect of density. Bawemi Sichinga-Mtonga of the University of Stellenbosch, South Africa, also presented a CFD approach to study the hydrocyclone underflow discharge, which can be used as the basis for online monitoring and control since the operational state can be inferred from its shape, an umbrella-shaped discharge indicating dilute flow while rope-shaped indicates dense flow. For optimum separation conditions, the transitional state between umbrella-shaped and rope-shaped underflow is desirable. It was interesting to talk earlier to Bawemi and her colleague Iku, who will be presenting a paper tomorrow. As part of their training to become lecturers at the Copperbelt University in Kitwe, Zambia, they have been seconded to the University of Stellenbosch to undertake PhDs, so I am pleased that they were able to come to Falmouth to present results of their research projects. After an afternoon Cornish cream tea, we set off for the traditional coastal path walk, finishing at the 17th century Chain Locker pub by the inner harbour (see also posting of 9th June). The dense medium cyclone (DMC) process is one of the most significant unit operations in the modern coal industry. In recent years, many mathematical methods such as the combined Computational Fluid Dynamics (CFD) and Discrete Element Method (DEM) have been widely used to describe the multiphase flow in a DMC. However, such a CFD-DEM model is very time-consuming in computation for fine particles and not suitable for large scale industrial systems. Alternatively, a CFD-DEM model, facilitated by a “parcel-particle” concept to account for fine particles for simulating the flows in a large diameter DMC, was proposed by Jiang Chen, of Monash University, in the first paper of the morning session, chaired by Johan Zietsman, of University of Pretoria, South Africa. Darryel Boucher, of McGill University, Canada, described how a multi-fluid Eulerian model combined with a dense discrete phase model (DDPM) was used to simulate water and iron ore particles (hematite and quartz) flowing in a spiral concentrator. Flow behaviour and particle velocities, including particle migration, were compared with experimental data from literature and positron emission particle tracking (PEPT) results. This demonstrated the potential of the Eularian-DDPM modelling approach for accurate simulation of spiral, and other density-based concentrators. The dynamic behaviour of µm-scale ferromagnetic particles in suspension is relevant for various mineral beneficiation processes. It is, however, difficult to experimentally study such processes at the particle-level. In these instances it can be advantageous to resort to suitable particle simulation methods. Anders Sand, of Luleå University of Technology, Sweden, described a Stokesian dynamics approach for simulation of magnetic particle suspensions. The method inherently considers hydrodynamic interactions, but additional interaction models can be included depending on the system under investigation. The method was shown to be useful for studying ferromagnetic suspensions in mineral processing applications, and for understanding and predicting the efficiency of mineral separation processes. In the session following the coffee break, chaired by Jiang Chen, of Monash University, Australia, Kirill Ivanov of the Russian Academy of Sciences presented a new mathematical model for dynamics of the vibrofluidized layer of granular material, enabling efficient computational evaluation of separation dynamics of minerals in force fields. The timeliness of such approaches to separation arises from a number of reasons including economical and environmental motives for avoiding the use of water as a disperse phase, importance of proper balance between production and extraction rates etc. The model presented in the work was built on the assumption of low content of magnetic or dielectric particles in the material. An accurate description of the evolution of bubble size distribution is extremely important for modelling flotation columns. Most of the existing bubble column models make a simplifying assumption of monodispersed bubbles due to the high computational cost associated with simulating such complex systems. While this assumption may be reasonable in some situations, the polydispersed nature of the gas phase can have a significant impact on the flow dynamics in many other cases. Gaurav Bhutani, of Imperial College, UK, described the development of a polydispersed multiphase model of a bubble column which has been solved using a parallelised adaptive mesh finite element method. According to Iku Mwandawande, of the University of Stellenbosch, South Africa, flotation columns are renowned for their improved metallurgical performance compared to conventional flotation cells. However, increased mixing in the column can adversely affect its grade/recovery performance. He described a study where the mixing characteristics of the collection zone of industrial flotation columns were investigated using Computational Fluid Dynamics (CFD). Liquid and particle residence time distribution (RTD) data were generated from CFD simulations and subsequently used to determine the mixing parameters (i.e., the mean residence time and the vessel dispersion number). In the final paper of the morning André Carlos Silva of Goiás Federal University, Brazil discussed modelling of the hydraulic entrainment phenomenon in micro flotation, the results showing a strong correlation between the airflow, particle size and the hydraulic entrainment of the particles. The afternoon session, chaired by Stephen Neethling, of Imperial College, commenced with four pyrometallurgical papers. Slag temperature excursions tend to occur in platinum melting furnaces, which lead to excessive matte superheat, increased refractory wear and run-outs in extreme cases. The furnace walls are protected by a slag freeze lining, maintained by intensive side wall cooling. A computational model was developed at the University of Pretoria, South Africa, and described by Nicole Andrew, used OpenFOAM to simulate furnace operation so that various slag temperature drivers could be investigated to provide insight for an improved slag temperature control strategy. The model has been used to study the factors that drive slag temperatures inside these furnaces. In a further paper from the University of Pretoria, Wihann Leipolt discussed the multiphysics modelling of a steel belt sintering process, which is used in the ferrochrome industry to sinter pellets of chromite fines, in order to introduce the fines into a submerged arc furnace. The process is complex and interactive in nature, is not well understood and has various operational problems associated with it. To improve understanding and assist in problem solving, a combined CFD and DEM model was developed to investigate the process and interactions between the process and the process equipment. In an ironmaking blast furnace operation, an uneven charging of material in the circumferential direction has a negative impact on stable operation. Therefore, visualization and prevention of uneven charging are great issues. Yoichi Narita, of the Nippon Steel & Sumitomo Metal Corporation, Japan, showed how particle flow in a bell-less type top charging system with parallel hopper was simulated by using DEM. The cement industry has come a long way from the conventional wet-kiln process, with the addition of multi-stage cyclone technology, preheating of raw-meal and subsequently feeding ‘preheated and calcined hot-meal’ into calciners, either in an in-line or separate line configurations. In modern precalciner rotary kilns, fuel is fired in both kiln and calciner. In calciners, over 60% of the fuel is fired and most of the endothermic reactions are accomplished during the calcination of the injected pulverised lime stone (CaCO3). Since both mass and heat transfer take place in a calciner, conventional CFD based modelling approaches fall short of adequately capturing the calciner’s flow field, temperature and gas species. A new modelling approach based on mineral interactive CFD was developed by Cinar, UK, and described by Tahir Abbas. The final session finished with a paper on heap leaching from Francisco Reyes, of Imperial College, UK who discussed how, although different modelling and simulation tools have been used to predict the leaching process, due to its complexity some assumptions have to be made. A well-established assumption is that of quasi-static behaviour, which implies that accumulation terms are unimportant. This assumption is made in, for instance, the shrinking core model and its variants. Both a dynamic and a quasi-static simulator were implemented within a finite difference framework in which the particle shape, its porosity and the initial grain distribution were obtained from X-ray micro-computed-tomography. Amanda then closed the conference and invited everyone to attend Computational Modelling '17 in Falmouth in two years time. As always this specialised conference, although small, attracted a very friendly group of people, and it has been a pleasure to be part of it. A special issue of Minerals Engineering, edited by Dr. Pablo Brito-Parada is planned for early 2016, and unrefereed papers from the conference are available on USB from MEI Online. A drenching en route to the pub!